Your use of this Website and Purchase of the Products is subject to these legally binding terms and conditions. Please read these Terms carefully. By using the website you are accepting and agreeing to these terms and conditions. You must not use this website if you do not agree to these terms and conditions. Sportsco reserves the right to change these Terms at any time, please check back at regular intervals for any changes. Continued use of the Website following any change to these Terms will be deemed acceptance of these changes. The Website and all content on the website is owned and operated by Sportsco Pty Ltd, 145 Boundary Road,North Melbourne Vic, 3051. 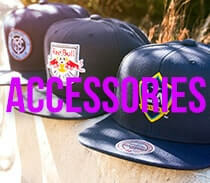 Sportsco owns all of the content, images and copyright on the Website, unless otherwise stated. All registered or unregistered trademarks used on the Website are the property of their respective owners. All content including images, text, graphics, designs, logos, trademarks, software, copyright, data, interfaces, photographs, and any other intellectual property on the Website is owned and controlled by, or licensed to Sportsco. Other than viewing the content for your own personal use, Sportsco does not grant you any rights to use the Website or the content for any other purpose. When you access the Website, You will use the Website in accordance with the following terms and conditions: You may only use the Website and the Content on the Website for personal purposes. You must not knowingly introduce any virus or other material which is malicious or technologically harmful to the Website including all of its contents. You must not attempt any unauthorized access to the Website, the server on which the Website is located or any server, computer or database connected to the Website. You must not undertake any denial of service attack or distributed denial of service attack. If Sportsco becomes aware that you have breached any law in connection with your access to or use of the Site Sportsco may report that breach to the relevant law enforcement authorities and will cooperate with those authorities by disclosing your identity to them. In the event of such a breach Sportsco will terminate your rights to use the Website with immediate effect. The Sportsco Website may occasionally contain links to other websites controlled by third parties ("Third Party Websites"). Sportsco or Atomic is not responsible for any content on such Third Party Websites nor does it endorse or approve such websites. If you choose to visit any Third Party Websites you do so at your own risk. We have the right at all times to remove any material posted by You or a third party ("Third Party Posted Material") from the Website or to edit any Third Party Posted Material, including in response to complaints received in relation to that material. We make no representations to you in relation to or about the accuracy, quality, legality, ownership or other aspect of any Third Party Posted Material. Cookies may be used on some areas of the Sportsco Website. A cookie is a small file placed on a user's hard drive which tracks website navigation. For example, a cookie can be used to store registration information so that a user does not need to re-enter it on subsequent visits. If you are concerned about cookies, most browsers have an option which permits users to refuse a cookie. A user can refuse a cookie and still fully navigate our website. In order to collect statistics we may anonymously log information, and identify categories of users by items such as domains and browser types. From time to time the Website may be subject to down time (for example to undertake upgrades etc), which may be either scheduled or unscheduled. Sportsco will attempt to minimize the amount of down time to the Website. Sportsco will not be held responsible or liable for any consequences to You of down time. 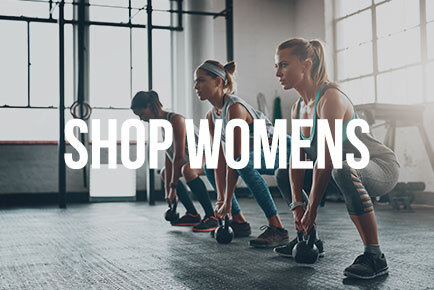 Sportsco reserves the right to withdraw any product that is advertised on the Website or change prices of products on the Website without notice. Information contained throughout the Website and in our database is believed to be accurate and reliable at the time of publishing. Sportsco updates the Website regularly, however, makes no representation as to the accuracy, currency or completeness of any information or services on the Website. All information and services are provided on the basis that you take full responsibility for assessing it. Although care is taken by Sportsco, there may be misprints, human errors, and omissions. Sportsco reserves the right to make changes and corrections in prices, products, and specifications without notice. 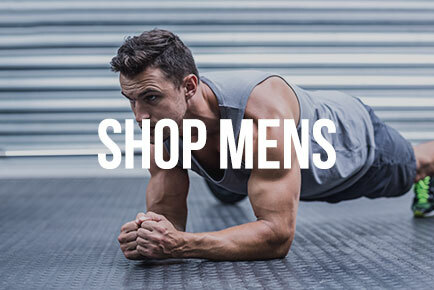 Although, Sportsco endeavor to display all products in the correct color, at times due to different computer screens/resolutions the images may display differently. Therefore, please note that all images on the website are indicative only. All information and services on the Website are provided on an "as is" basis. 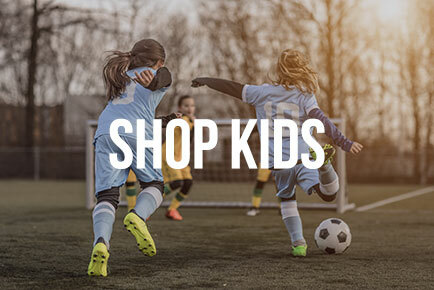 To the fullest extent permitted by the applicable law, Sportsco excludes all terms, conditions, warranties and representations (express or implied). Your breach of any of these Terms & Conditions. You agree to pay to Sportsco any damages, costs and interest in connection with such claim, action, suit or proceeding. Except where prohibited by law, Sportsco will not be liable to you for any loss, damage, liabilities or claims and expenses that you may suffer due to use of the Website, including use of any information on it. You use the internet and the Website at your own risk. Electrical or magnetic damage to, or erasure of, electronic or photographic images, data or recordings. Sportsco will not be held liable for any other types of loss or damage (including but not limited to lost profits, income, interest, future business), whether such loss or damage is special or indirect, and even if the risk of such loss or damage was brought to Sportsco's attention before or after the acceptance of the shipment. If Sportsco fails at any time to insist upon strict performance of any of your obligations under these Terms & Conditions, or if Sportsco fails to exercise any of the rights or remedies to which it may be entitled, this shall not constitute a waiver of such rights or remedies and shall not relieve you from compliance with such obligations. A waiver by Sportsco of any default shall not constitute a waiver of any subsequent default. No waiver by Sportsco of any of these Terms & Conditions shall be effective unless it is expressly stated to be a waiver and is communicated to you by Sportsco in writing. You must comply with all applicable domestic and international laws, statutes, ordinances and regulations regarding your use of our service and your purchase of items. These Terms & Conditions shall be governed by, construed and enforced in accordance with the laws of the state of Victoria, Australia. You agree to submit to the non-exclusive jurisdiction of the courts of the state of Victoria, Australia. The Site may be accessed throughout Australia and overseas however, we make no representation that the content of the Site complies with the laws (including intellectual property laws) of any country outside Australia. If you access the Site from outside Australia, you do so at your own risk and are responsible for complying with the laws in the place where you access the website. Any failure by Sportsco to act or enforce these Terms immediately will not be considered a waiver of Sportsco's right to take any such action. These Terms & Conditions and any document expressly referred to in them represent the entire agreement between you and Sportsco and supersede any prior agreement, understanding or arrangement between you and Sportsco, whether oral or in writing.